4to: [iii] + 15 + [ii] pp. 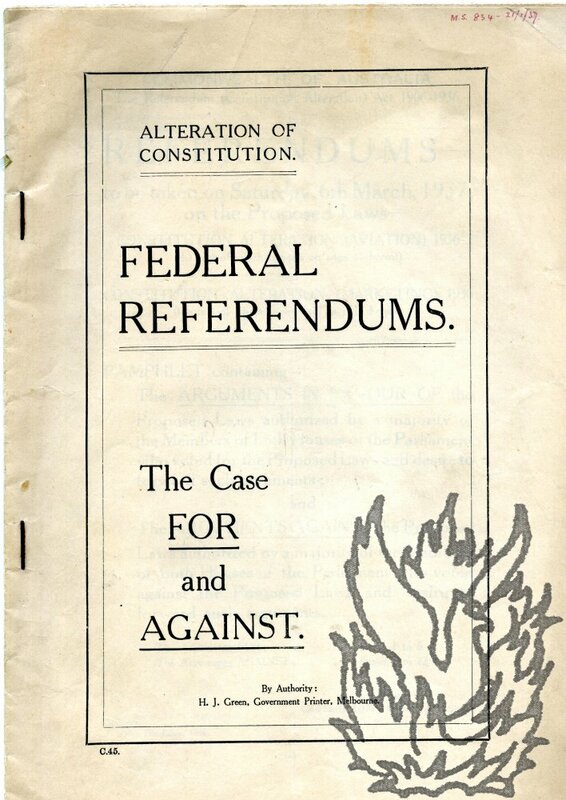 Ten-leaf stapled pamphlet. Good, on lightly-aged paper. Slight rusting to staples. In small hand in red ink at head of title: 'M.S. 834 - 21/1/37'. 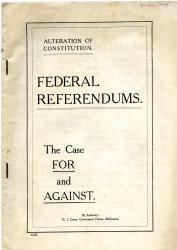 Giving the texts of two proposed constitution alterations, 'Aviation' and 'Marketing', with the cases for and against, the referendums on which are both to be taken on 6 March 1937. 1 cm stamp in red ink of the Webster Collection at foot of final page, numbered 4190.